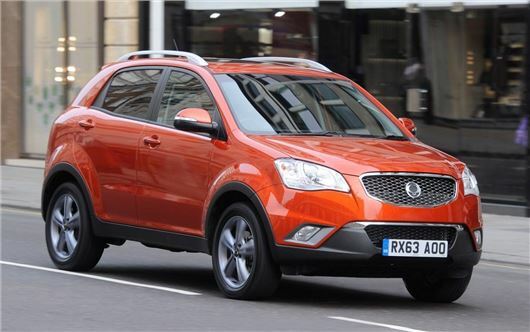 SsangYong has launched its autumn sale, with savings of up to £3000 available on the Korando. The offer applies to all two-wheel drive and 4x4 models - except the SE - registered by 31 December 2013. SsangYong’s offering large savings across the range, with £2000 off the LE and a discount of £2300 on the SX. CSX models get a £2400 reduction, while ES buyers stand to save £1500. However, the biggest savings are on the automatics, with both the ES Auto and EX Auto priced at the same level as their manual counterparts. The autumn sale means buyers can drive away in a brand new Korando LE from £15,995, while the top of the range EX automatic will cost £19,995. The majority of the Korando line-up is powered by a Mercedes-Benz sourced 2.0 litre four-cylinder turbodiesel engine, producing 360Nm of torque and 175PS. SX models get less power, with 149PS. All trims feature ESP and ABS as standard, along with SsangYong’s five year limitless mileage warranty.